Comedian Lewis Black has a great bit about candy corn where, every year without fail, he forgets that it is awful and eats some only to be disappointed. Well, I’m starting to feel that way with indie 2D platformers. For whatever reason, I always play a new one with high expectations only to be let down. It’s a shame that for every great one there are 100 mediocre ones and the frustration of sorting through all of that “meh” to find something special really wears on you after a while. My latest case of “oh god why did I spend money on this” is 140 – an ultra minimalist 2D platformer that strips out all of the fluff in favor of pure unfiltered platforming. What can go wrong? See our full 140 review for details. 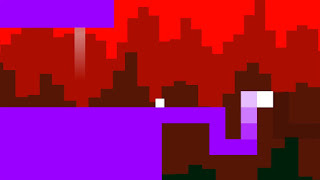 140 is a 2D platformer stripped down to the bare essentials. There aren’t characters or a story or really anything aside from the platforming gameplay itself. You play as a little icon that is a square when it isn’t moving, a triangle when it is in the air, and a circle when it is moving on the ground. You move around similarly simple levels made up of basic geometric shapes in order to find a key that shifts the level around a bit and lets you explore new areas. After a few rounds of this, there is a boss fight. And before you know it, you’ve seen everything the game has to offer after a little over an hour and you’re left with a crushing sense of disappointment. First, the good. 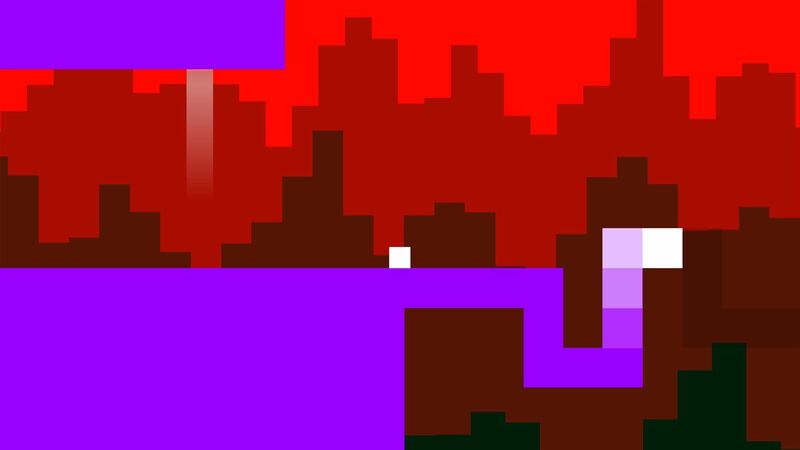 The actual platforming in 140 is flawless and perfect. Your movement is extremely precise and perfect and just feels great. I also dig the soundtrack, which is a good thing since the music plays a big role in the platforming. The timing of jumps and platforms moving and disappearing and other features in the game are all tied to the beat of the music, so once you feel the beat the platforming feels even better. And now for the bad. By stripping everything else out of the game except for the platforming, 140 gives you very little reason to want to play it. There is no story or context or anything to draw you in other than the pure joy of platforming which, frankly, just isn’t enough these days (and something I haven’t really felt since about 1988). It is boring and uninteresting and unappealing. It is a very similar approach to Electronic Super Joy, but at least ESJ had some personality to go with its thumping soundtrack and bright colors. 140, on the other hand, revels in its blandness like it’s a badge of honor. The minimalist design philosophy extends to not even having a menu. You can’t pause it! 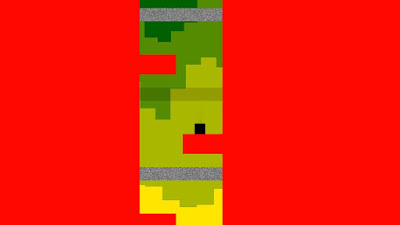 And if you want to quit playing in the middle of a level, you have to play through the whole level again because it doesn’t save! At least the gameplay is good, right? No, not really. While the platforming is precise and feels fantastic and the concept of having to move with the beat of the music is cool, the execution here leaves a lot to be desired as a video game designed for human enjoyment. It isn’t fun. At all. It plays perfectly fine, but - it – isn’t – fun. You feel absolutely nothing when you play 140. It is all purely mechanical execution that isn’t satisfying. Wait, I take that back. You DO feel frustration and annoyance and anger because the game gets really difficult, really fast, and the precise timing required can get pretty crazy. You get all of the negative feelings without the positive ones, so why do we want to play this again? I hate 140. I hate everything about it. It is artsy fartsy BS that isn’t any fun. Remember that “South Park” episode about the Prius and the smug people enjoying the smell of their own farts? That is what games like 140 remind me of. To put it a different way, 140 is like math. Some people really enjoy math and get satisfaction from solving complex problems. I, on the other hand, always hated math – particularly algebra – because it is so inflexible and mechanical and boring. You just plug in the right formula and out pops the answer. 140 is the same way. It is mechanical and dry and bland and boring. Some people might like it, the same way some people like math, but it isn’t for me. Math nerds and robots might like 140, but everyone else should skip it.